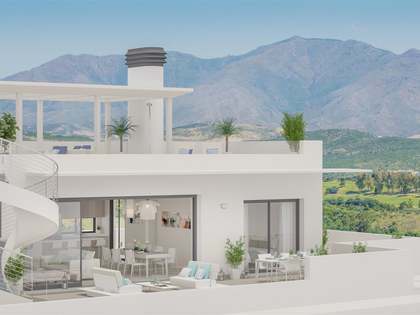 This innovative residential project is located near the golden beaches of Cabopino, Marbella; one of the most beautiful parts of the Costa del Sol. 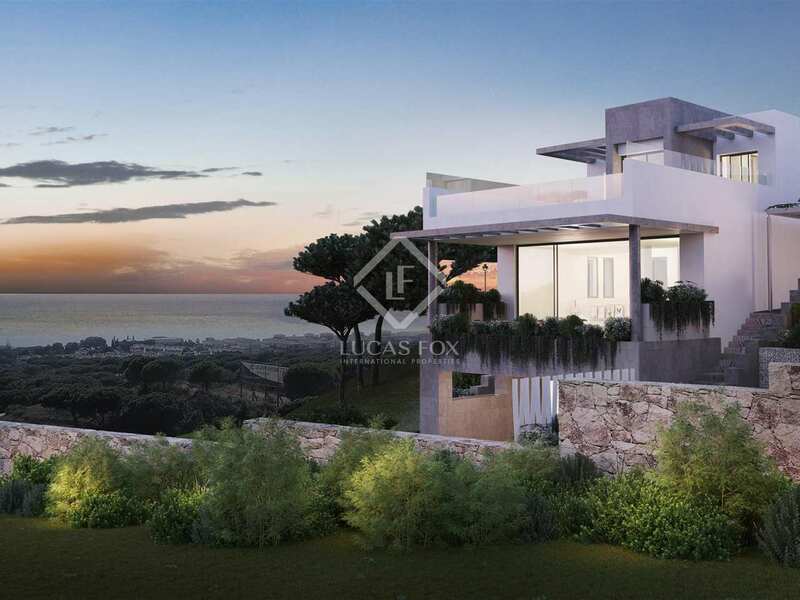 The development is located right in front of a golf course making it an excellent option for golf enthusiasts. 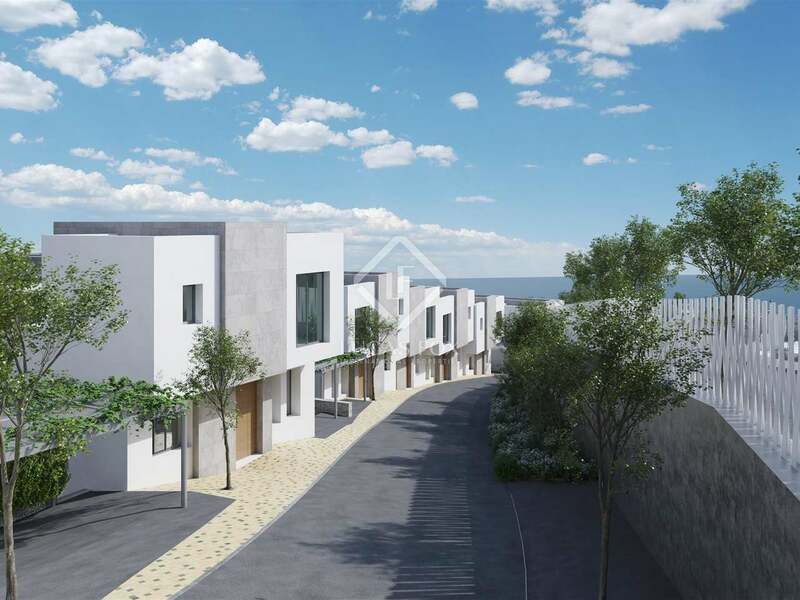 The villas have 3 bedrooms, 2 on the ground floor and 1 on the upper floor, and would make an ideal family home or second residence by the sea. 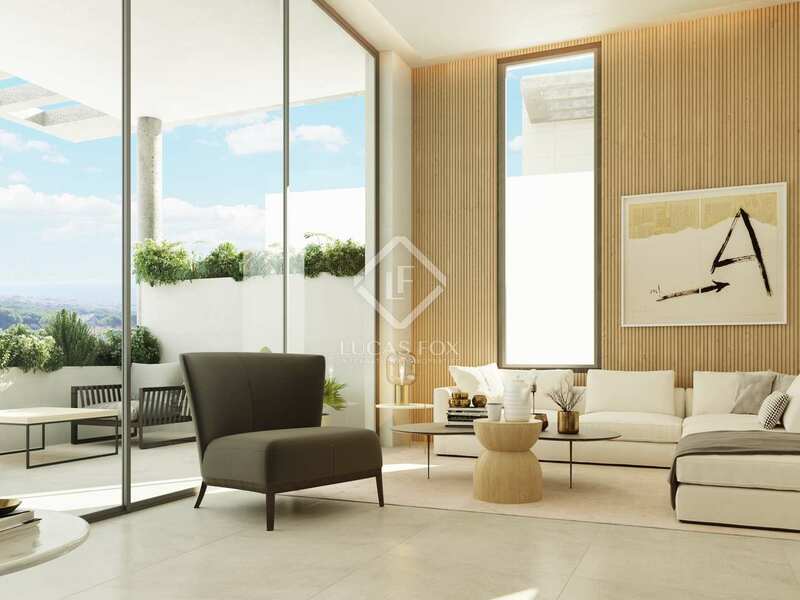 High quality materials and finishes have been selected throughout. 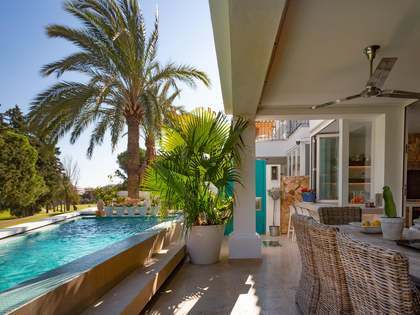 The kitchens, which can be designed according to your tastes and requirements, are to be fitted with NEFF appliances whilst floor and bathroom tiles are by the brand Porcelanosa. 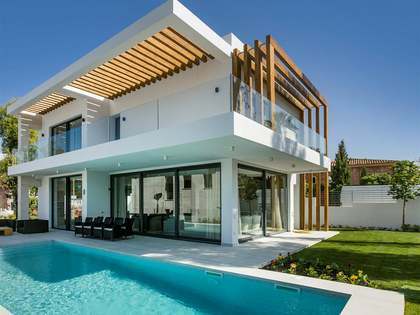 The incorporation of Aerothermics, an efficient energy system used to cool the properties during the summer and heat during the winter, helps keep energy costs to a minimum. 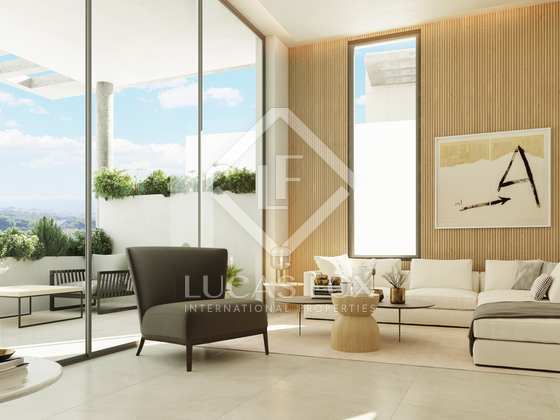 This unique project is an ideal option for those seeking a brand new home close to the sea in Marbella. 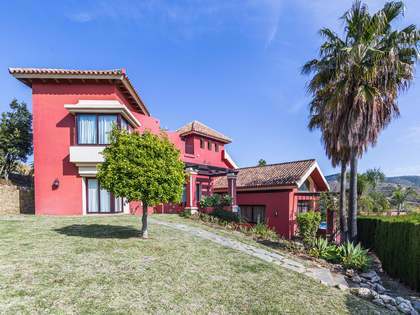 Development located close to Cabopino beach on the beautiful Costa del Sol with an average annual temperature of 20ºC and more than 320 days of sunshine. 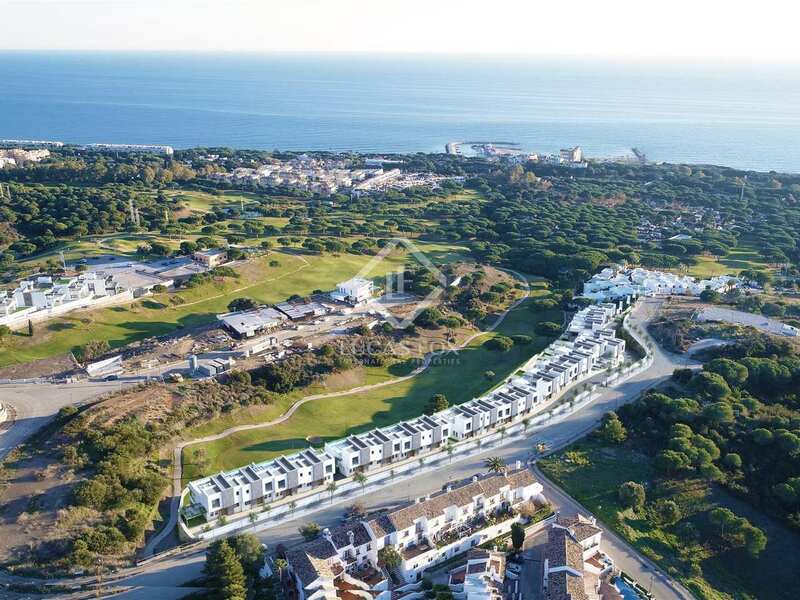 The project is right beside a golf course making it the ideal choice for enthusiasts of the sport. The airport is 5km from the development.